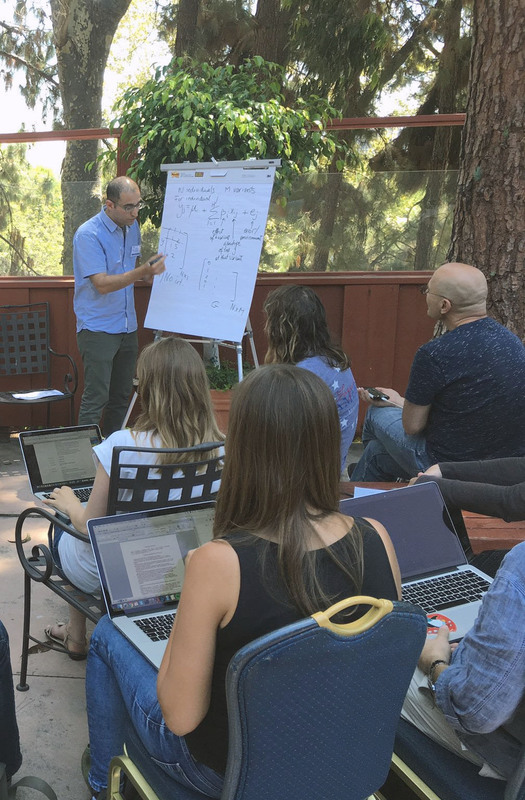 The Computational Genomics Summer Institute brings together mathematical and computational scientists, sequencing technology developers in both industry and academia, and the biologists who use the instruments for particular research applications. 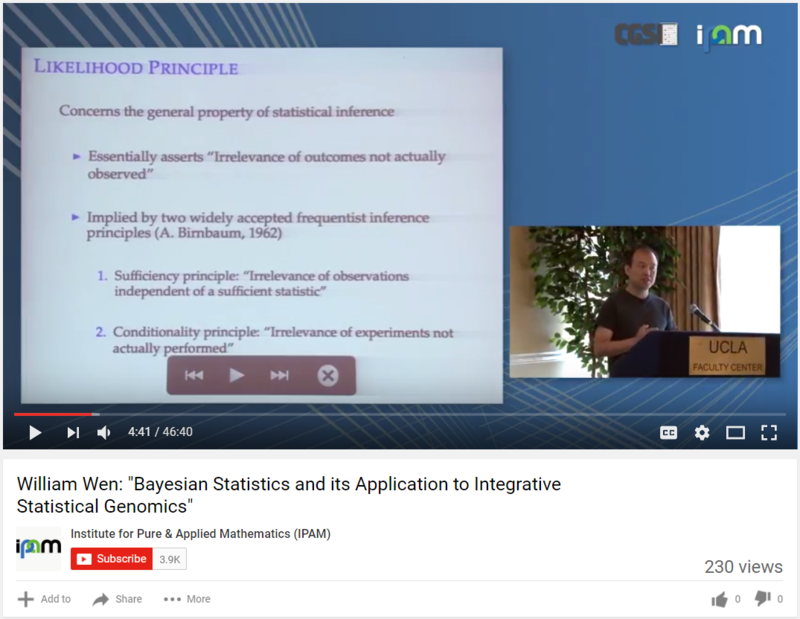 RESEARCH TALKS are 45-minute explorations of current problems and research in computational genomics by participating faculty. TUTORIALS are interactive, guided 45-minute workshops that aim to help participants apply new techniques to research problems. View our video archive of past presentations. JOURNAL CLUBS are 45-minute sessions that give participants an opportunity to critically evaluate recent articles and stay up-to-date on relevant new research. The SHORT COURSE provides a research residence program at UCLA where trainees interact with world-leading researchers in the field of computational genomics. The program combines structured training programs with flexible time to encourage interaction and collaboration with other participants and program faculty. The UCLA Computational Genomics Summer Institute. Over the past two decades, technological developments have substantially changed research in Bioinformatics. New methods in DNA sequencing technologies are capable of performing large-scale measurements of cellular states with a lower cost and higher efficiency of computing time. These improvements have revolutionized the potential application of genomic studies toward clinical research and development of novel diagnostic tools and treatments for human disease. In 2015, Profs. Eleazar Eskin (UCLA), Eran Halperin (UCLA), John Novembre (The University of Chicago), and Ben Raphael (Princeton University) created the Computational Genomics Summer Institute (CGSI). A collaboration with the Institute for Pure and Applied Mathematics (IPAM) led by Russ Caflisch, CGSI aims to develop a flexible program for improving education and enhancing collaboration in Bioinformatics research. This is my favorite conference to attend. The journal club was the best feature in my opinion, as it allows people to engage with other people easier in small group settings. There was plenty of time to interact with others, I never had so many new contacts from a single scientific meeting as after CGSI. The professors and speakers at the summer school [were] willing to connect with, and speak with, the students that were present. The social events gave us all a chance to speak wiht the professors we wanted to speak with or ask questions after their talk. Talks were very well prepared and the long format (45 min) was great for providing enough background for people outside the field.